← Atheists Un-Anoint Roadway… But Why? 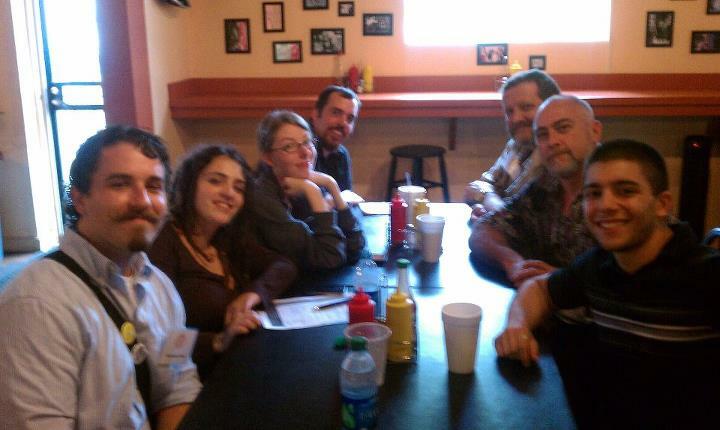 A bunch of us went out to lunch during the conference to Voodoo Dog, an awesome hotdog place. Last weekend, Shelley Segal was in town for a Humanists of Florida Association conference. She performed a few songs during the conference, but the really awesome part was when she performed after the conference. During this impromptu show, she performed my new favorite song: The Salamander Song. The sad thing is, though, that she hasn’t recorded it yet. However, Mark Palmer (HFA executive director and a friend of mine) was able to convince Shelley to perform the song for his podcast. So, here it is! The song starts at about 14:30 (but the explanation of the song starts a few minutes before that, at about 11:00). The audio quality is not the best, but the song is still very funny and totally awesome. Atheists Un-Anoint Roadway… But Why?